Duo Musagète has thrilled audiences in the United States and Europe with their innovative programming and novel approach to the concert experience. 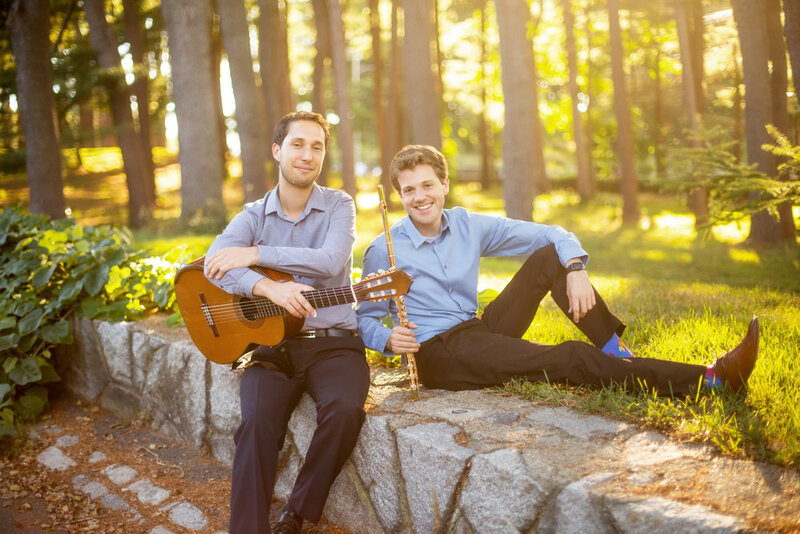 Belgian Guitarist Jérôme Mouffe and American flutist Benjamin Smolen, themselves established soloists, founded Duo Musagète in 2007 while studying at the New England Conservatory. The duo became New England Conservatory's headlining Honors Chamber Ensemble the following year. 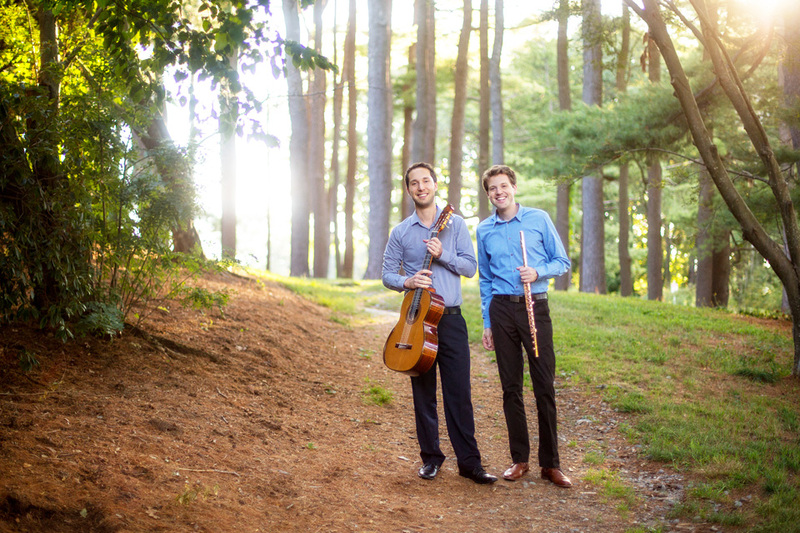 Duo Musagète’s recent performances include solo concerts at Jordan Hall in Boston, the MIM (Music Instruments Museum) in Brussels, and historic Highfield Hall in Cape Cod. They have also been the featured ensemble on the LiveARTS chamber music series and the Boston Public Library's Concerts in the Courtyard series. In 2015, Duo Musagète released their debut album, Bach to Beaser, featuring Robert Beaser’s monumental, folk-inspired song cycle Mountain Songs alongside original transcriptions of Bach, Haydn, and Shostakovich. The Bach to Beaser project has been a dream of ours since the first time we performed Mountain Songs many years ago. The repertoire on this album represents many different influences on our artistic path since founding Duo Musagete.